سواءً كنت مسافراً بغرض السياحة أو العمل, Manifold Motor Inn هو خيار عظيم للإقامة خلال زيارتك كامبرداون - فيكتوريا. لا يبعد الفندق كثيراً عن مركز المدينة، فهو يقع على بعد 0.6 km منها. في حين يستغرق الطريق منها إلى المطار حوالي 150 دقيقة. يوفر الفندق بفضل موقعة الجيد وصولاً سهلاً إلى أهم معالم المدينة.
. يعرف Golden Chain بالمستوى الراقي لخدماته ولباقة موظفيه، وهذا ما ستجده في Manifold Motor Inn. لضمان راحة ضيوفه، يقدم الفندق الخدمات التالية: واي فاي مجاني في جميع الغرف, ركن للسيارات, خدمة الغرف, غرفة عائلية, مرافق للشواء . في Manifold Motor Inn غرف نوم يزيد عددها عن 15 صممت بذوق وعناية لتوفر لك كل وسائل الراحة . بعضها يحتوي أضاً على تلفزيون بشاشة مسطحة, اتصال لاسلكي بشبكة الإنترنت (مجاني), حوض الاسترخاء, غرف لغير المدخنين, مكيف هواء. إن بلياردو, حديقة, غرفة ألعاب هو المكان الأمثل في الفندق للاسترخاء وتفريغ طاقتك بعد نهار طويل. مهما كانت دواعي سفرك فإن Manifold Motor Inn هو خيار ممتاز لإقامتك في كامبرداون - فيكتوريا. Yet another stay here for the dog shows over the long weekend. Immaculate rooms, so accommodating for the dogs/trailer etc. Wonderful hosts. 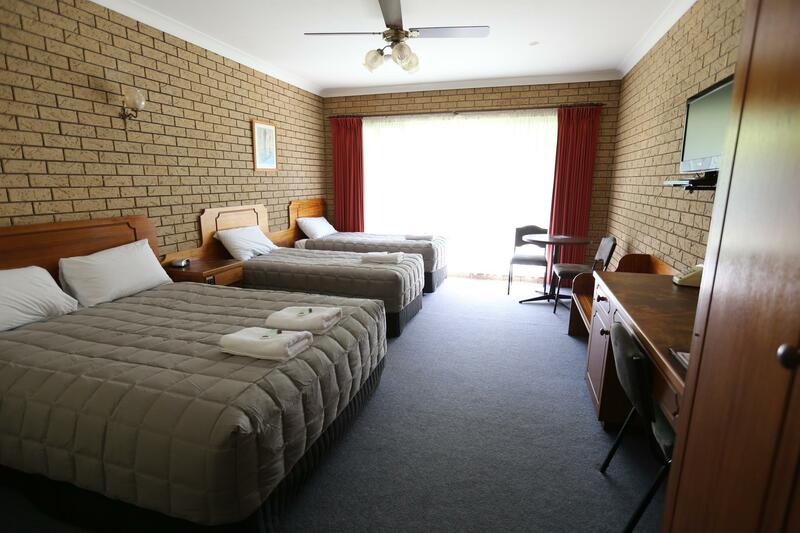 Helpful owner and good room..v were made v.comfortable..d room was huge n cosy.. everything was grt..
Named after the town's first settlers, the Scottish Manifold Brothers, it is located at one end of the town not far from the BP Gas station. Check-in was easy attended by friendly lady staff. Our car could park right in-front of our unit. Room is big and carpet is clean. Bathroom size is adequate and shower had good hot water pressure. Linens were clean and toiletries were good. The room was well appointed with a sofa and a breakfast table with two arm chairs. No cooking was allowed due to regulations. We had a comfortable stay. Great location for business traveller. Nice warm room on a cold night. Close to food outlets. Clean and comfortable. Great Wi-fi and TV. Great staff. Good local scenery. Definitely stay again. Good location except some noise at night from trucks rumbling past. Great Place to stay for a work trip at the Camperdown Hospital, Owners of the Hotel are very friendly and welcoming. Rooms spacious and comfortable. Lovely Country Feel, was great to be able to walk into town for dinner at the Local Pub. Will definitely be back. Excellent, friendly staff. Facilities very clean; bed very comfortable and morning shower nice and hot. Camperdown is a lovely regional town with excellent food & coffee and excellent sight-seeing. But would I return to the motel? No. The incessant truck noise 30 metres from our window throughout the (long! !😩) night meant sleep was (at best) intermittent. Stayed several times and have always been impressed with the motor inn and the friendly welcome. 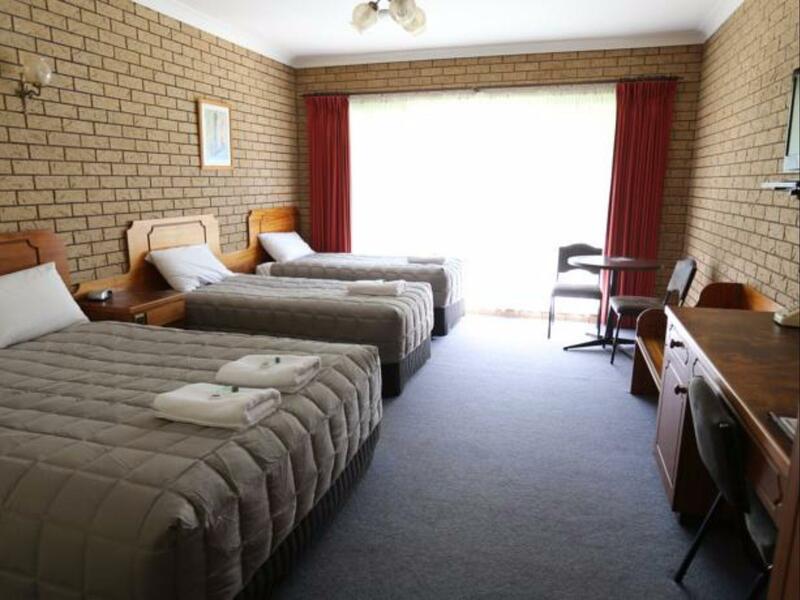 A good overnight stay, clean rooms with all the facilities expected. 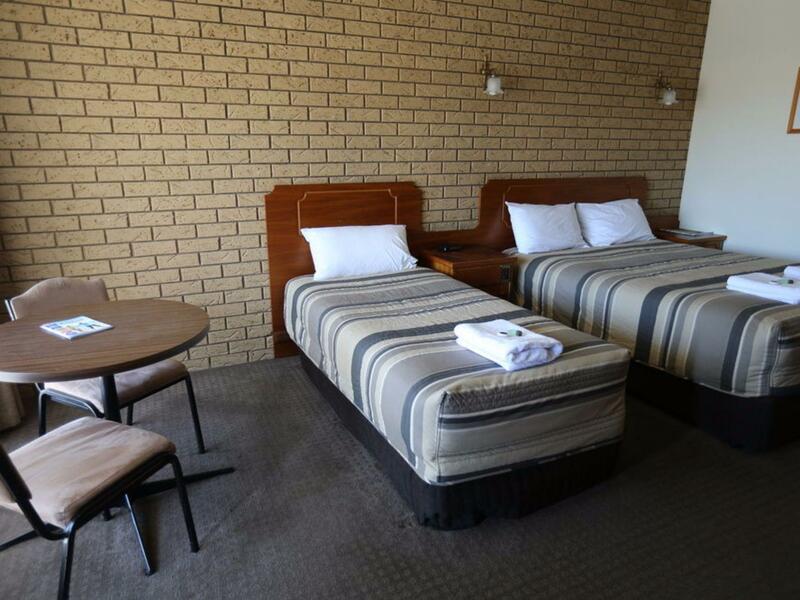 A reasonably priced, confortable and well maintained Motel ideal for my short stay for business purposes. Breakfast is provided in room and there is a good range of options. Whilst the Motel is located on the highway traffic noise did not affect the room.